A Denver car accident attorney discusses findings that elderly drivers are a big risk on the roads. Inexperienced teen drivers, as well as distracted or drunk drivers, tend to be the types of drivers who are generally considered to be among the biggest threats on the road. 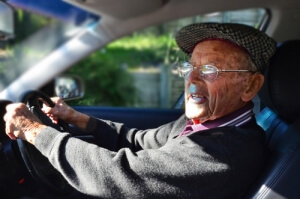 Drivers over the age of 65 (i.e., elderly drivers), however, should also be among those considered who are risky motorists, according to researchers at Carnegie Mellon University and the AAA Foundation for Traffic Safety. Elderly drivers can have the same fatality rates as teen motorists. Within 15 years or so, the number of elderly drivers on U.S. roads is expected to triple (as Baby Boomers age). These findings have sparked a call for state lawmakers and transportation regulators to take action and identify ways to limit this current and potentially growing risk. The fatality rate for elderly motorists begins to spike at the age of 65. This rate becomes equivalent for the death rate associated with teen motorists when elderly drivers are between 75 and 84 years old. When elderly motorists hit 85, they are about 4 times more likely than teen motorists to be killed in a deadly traffic crash. While elderly drivers are far less likely (than the general driving population) to be speeding or to cause a drunk driving crash, they are far more likely to be involved in auto crashes at intersections, where it can be easy for them to miss seeing traffic signs, changing signal lights, pedestrians and other approaching vehicles. Where single-vehicle rollovers can be described as a young person’s crash, side impact appears to be an old person’s crash. Spurred by these findings, transportation officials are now focused on finding ways to reduce the risk associated with elderly drivers. One proposed solution from officials at the Insurance Institute for Highway Safety (IIHS) is to require elderly drivers to show up in person at DMVs to renew their drivers’ licenses each year. This could involve retesting older motorists’ eyesight and/or driving skills to ensure they are still able to safely operate a vehicle. What do you think about these findings and the IIHS’ proposed solution? Share your opinions with us on Facebook & Google+.